A long and “hot” competition is over. 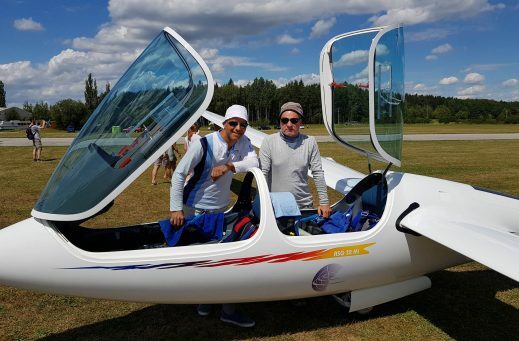 The 2018 World Championship in Hosin (Czech Republic) demanded a lot from the pilots. 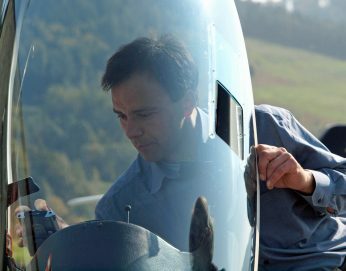 The sailplanes were in the air on 12 of the possible 13 competition days and the up to 450 km long tasks were often completed at average speeds of over 130 km/hr. Sebastian Kawa, along with his his team mate Christoph Matkowski (Poland) in the ASG 32 Mi, was able to achieve a very special result for himself. 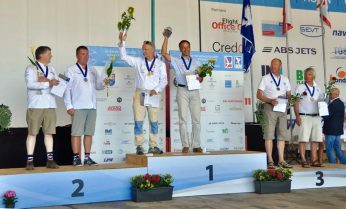 After winning the 15m racing class world championship three weeks earlier in the Ostrow, Poland, with an ASG 29, he was able to secure his second world championship title of the year. Sebastian and Christoph took the overall lead in the 20m two-seater class by winning day 4. Additional day wins followed on the 6th and 9th competition days. Then they confidently flew in the lead up to the last competition day and finally became well deserved world champions with a good points cushion. 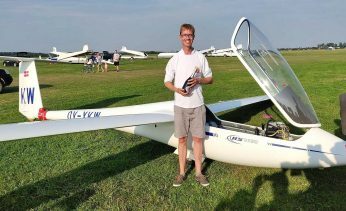 We are particularly happy about Sebastian Kawa’s double world championship and also congratulate Christoph Matkowski for his first world title. He won the world championship by moving past all his competitors on the last day of the contest and we offer our sincerest congratulation to him as well. We also congratulate the new world champions in the other classes: Sjaak Selen (Netherlands, Standard Class), Wolfgang Janowitch (Austria, 18m) and Michael Sommer (Germany, Open Class).